Disney's Paradise Pier is in Anaheim, Orange County in southern California and is part of Walt Disney’s original 1955 Disneyland resort. 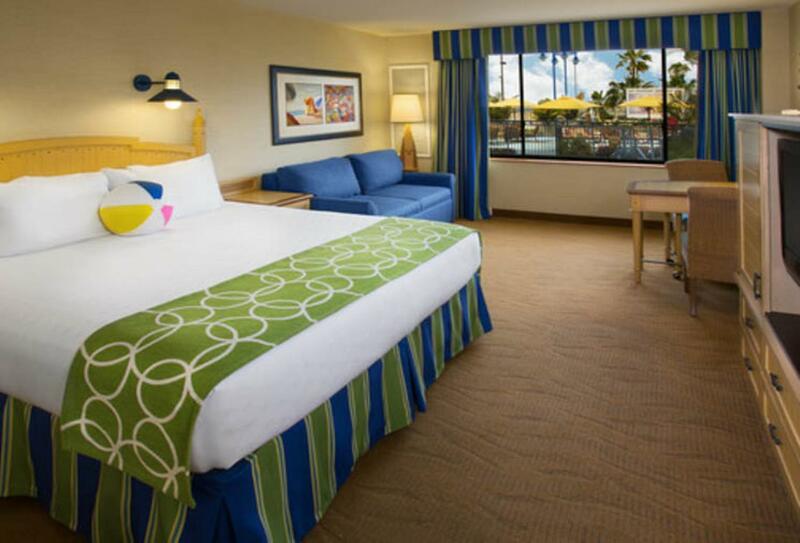 The colourful rooms are styled after 1920s beachfront pavilion hotels and staying here puts you at the heart of the Downtown Disney district, near the main theme park area and all the restaurants and attractions. 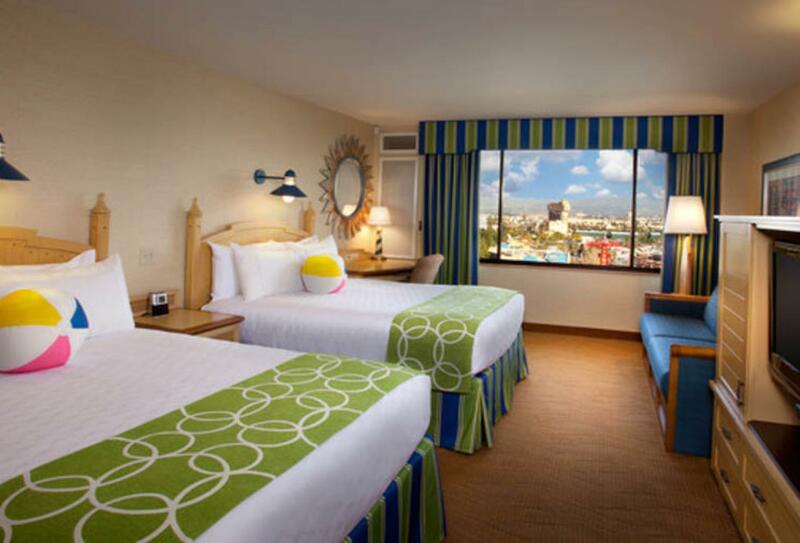 There’s a rooftop pool and deck area with waterslides and movie screenings as well as a separate pool for children. The kids can enjoy an arcade, activity centre, cinema, workshops, interactive experiences and trivia challenges. 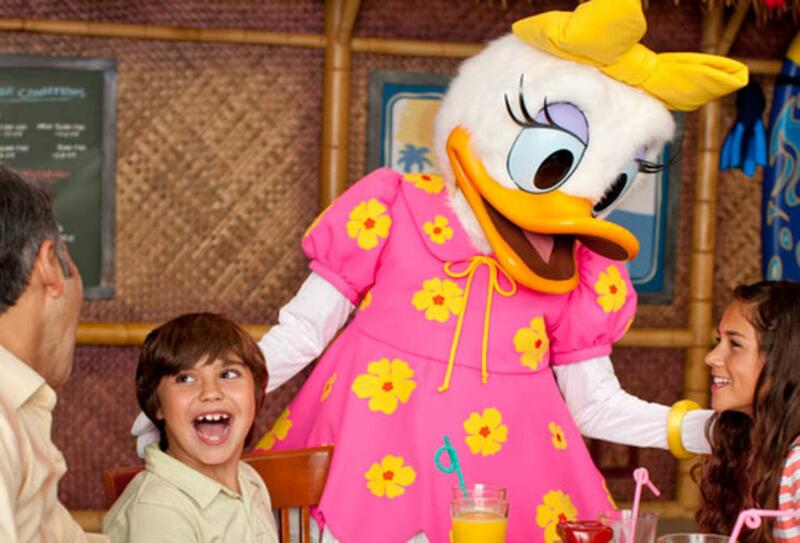 Disney characters join the family at breakfast in Disney’s PCH Grill where great California style cuisine is on offer. 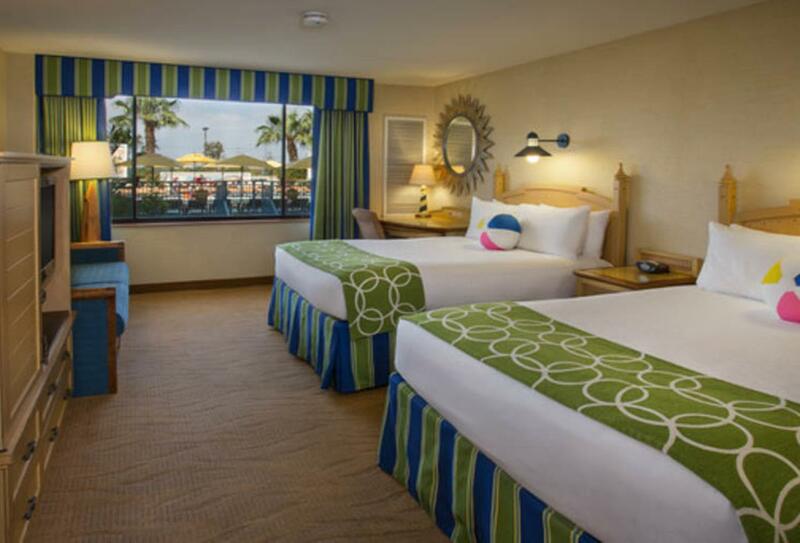 Room with two queen beds and a daybed, its early 1920s style features sand and surf themed décor and furnishings, park artwork and views of the theme park. 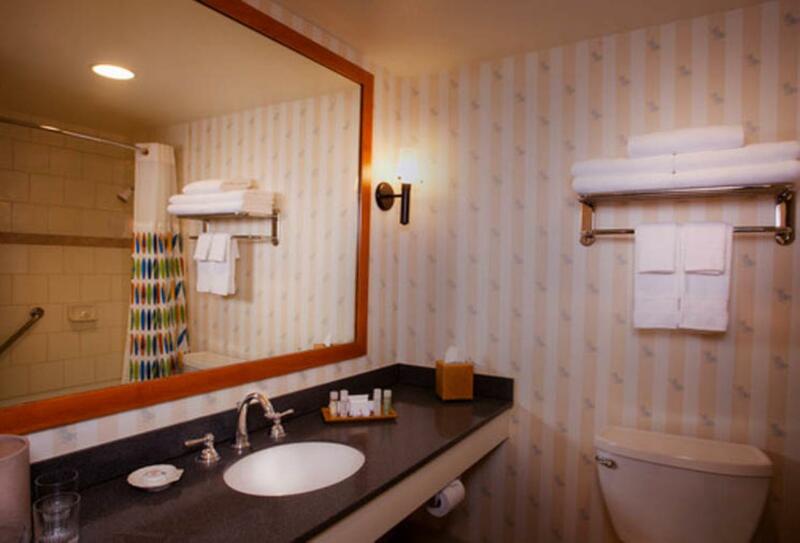 Early 1920s styled pavilion hotel room with a choice of bed configurations. 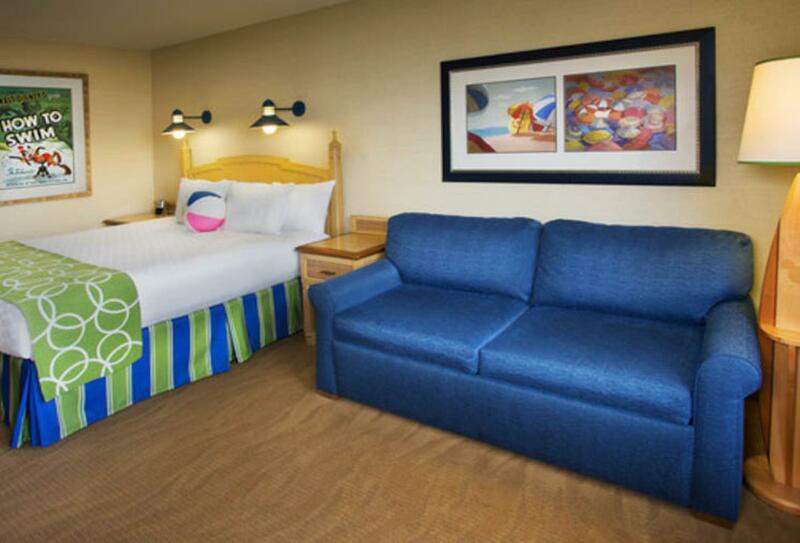 The room has sand and surf themed décor and furnishings. Californian cuisine in a colourful beach style atmosphere. Open for breakfast, 07.00–11.00 and dinner 17.30–21.00. Relaxing lobby lounge offering coffee and breakfast pastries. Sandwiches, burgers and salads from nearby Disney’s PCH Grill can also be ordered here. 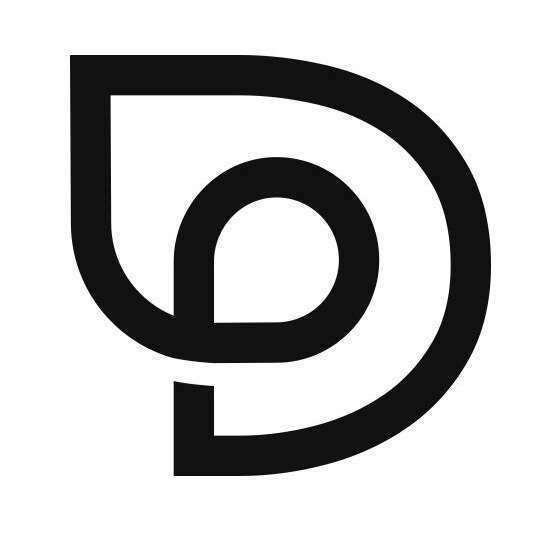 Open 06.00–midnight. Seasonal outdoor restaurant serving specialty drinks, hot dogs, sandwiches and snacks on the rooftop pool deck. 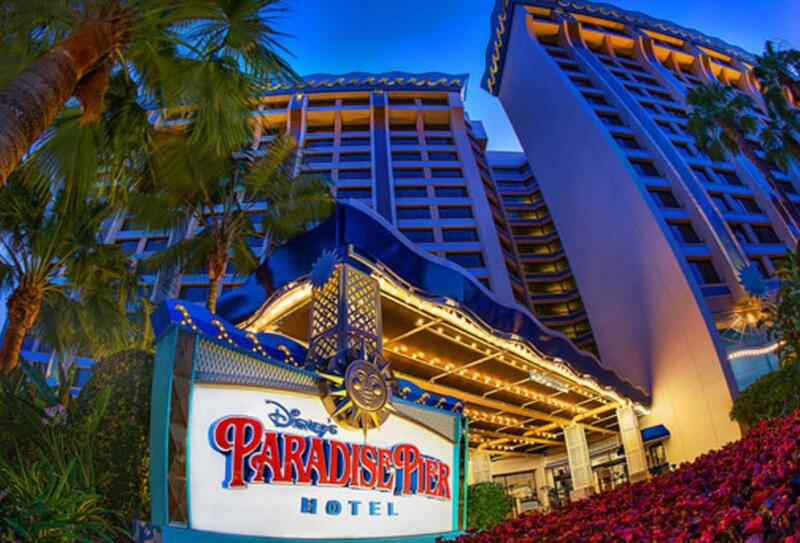 Disney's Paradise Pier is at 1717 Disneyland Drive in Anaheim, and is part of the Disneyland resort. 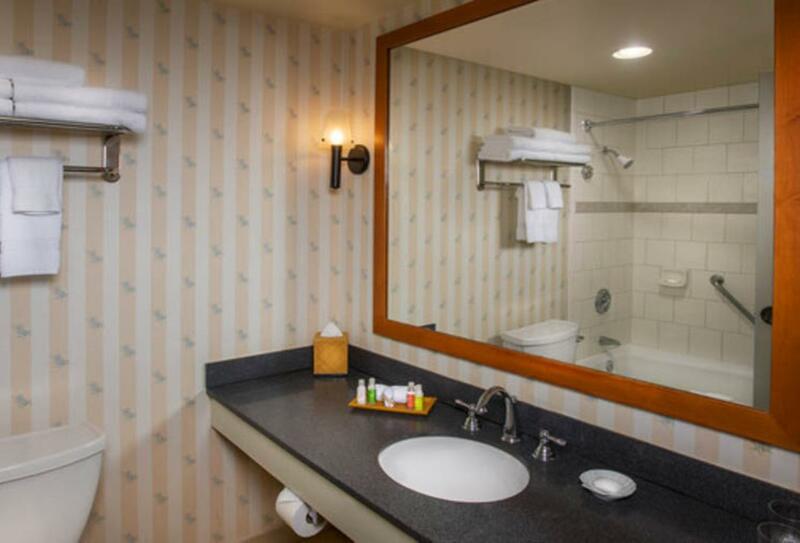 There are several airports that service the resort including Los Angeles International Airport (33 miles) and John Wayne Airport (15 miles) from which you can catch the Disneyland Resort Express train. 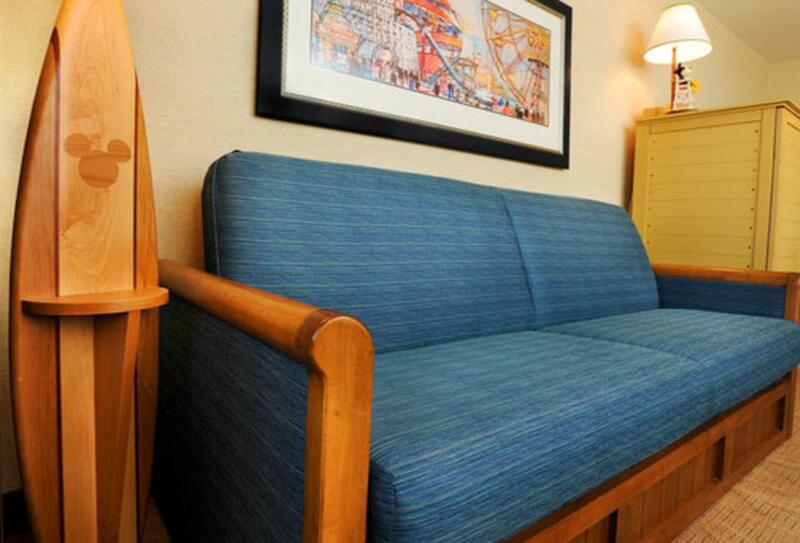 Disney’s Paradise Pier welcomes children of all ages and has plenty of facilities and activities to keep the whole family happy during their stay. • Interactive experiences including drawing, building and Disney themed story times.